The people of Singapore celebrated 50 years of independence on Sunday, haling its growth from a poor colonial port to a wealthy metropolis. 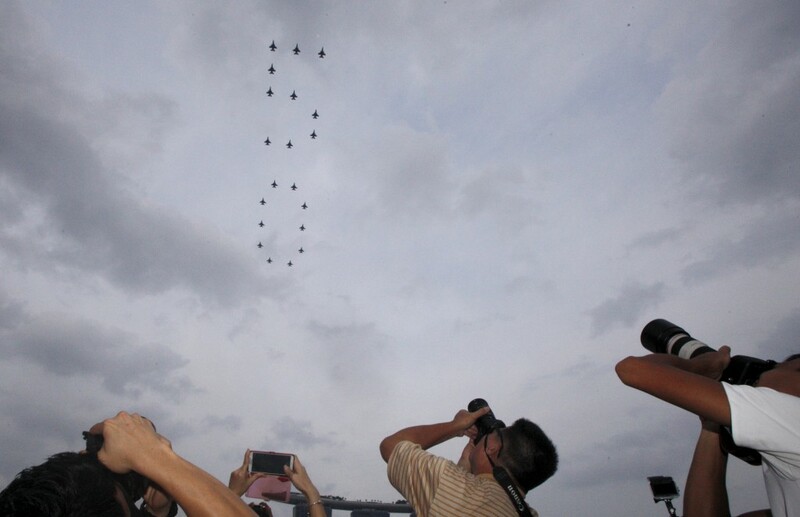 As fighter jets roared through the sky, tens of thousands took advantage of the day’s free train and bus rides to gather at the Padang in Central Singapore for Golden Jubilee festivities, where national songs blared and prominent leaders made speeches extolling the country’s achievements. On Saturday, Secretary of State John Kerry praised the United States’s relationship with Singapore. The island city-state of 5.5 million people, which was expelled from Malaysia on August 9, 1965, is now a global business hub, despite grappling with the region’s political instability, and is among the top five most expensive cities in the world, according to the Associated Press. The Republic of Singapore Air Force performs a “50” formation during an aerial display in Singapore’s Golden Jubilee celebrations. Photo by Edgar Su/Reuters. 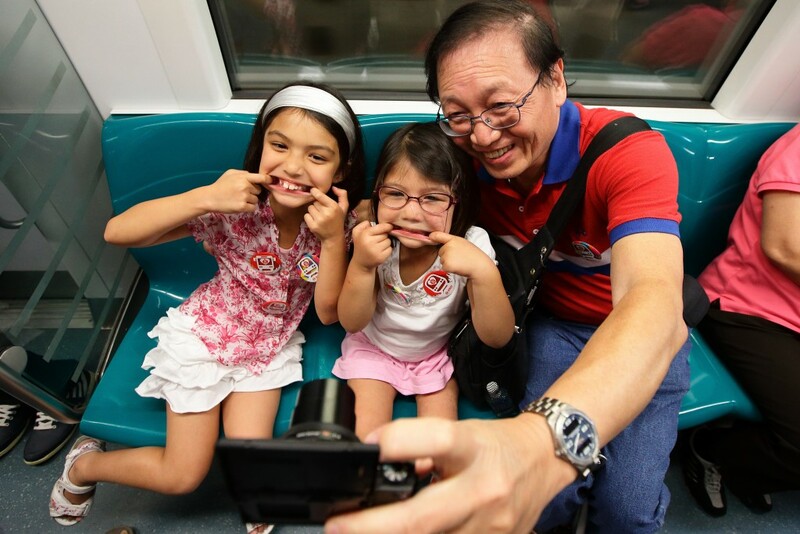 People enjoy free train ride for a day during the Singapore National Day on August 9, 2015 in Singapore. Photo by Suhaimi Abdullah/Getty Images. 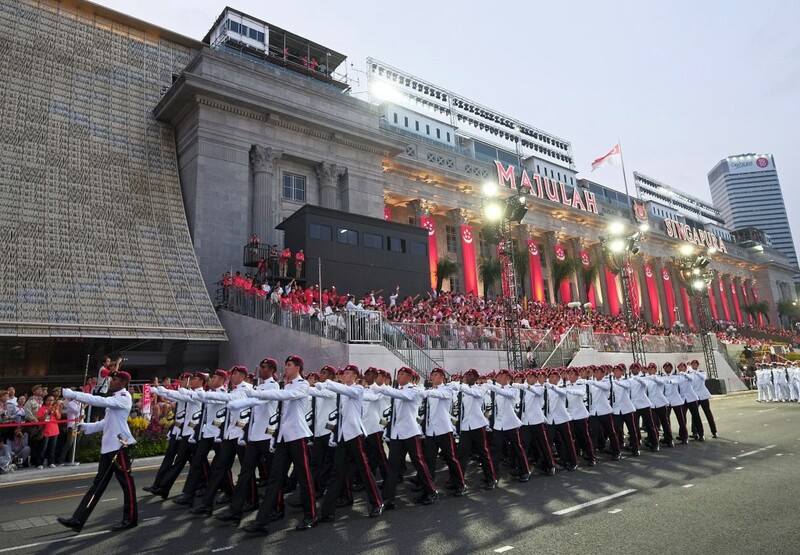 The Singapore Armed Forces 1st Commando Battalion guard of honour marches past during Singapore’s Golden Jubilee celebration Parade. Photo by Kevin Lam/Reuters. Confettis fill the sky during the National Day Parade at Padang on August 9, 2015 in Singapore. Photo by Suhaimi Abdullah/Getty Images. 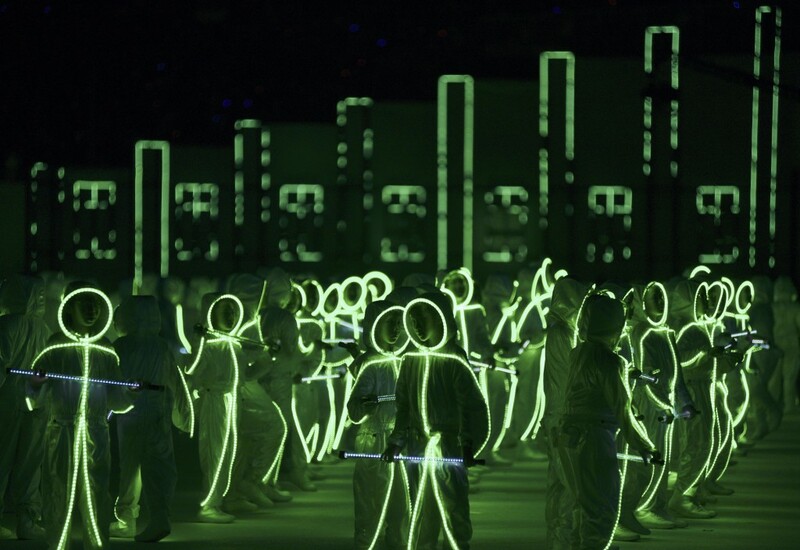 Entertainers perform on stage during the National Day Parade at Padang on August 9, 2015 in Singapore. Photo by Suhaimi Abdullah/Getty Images. 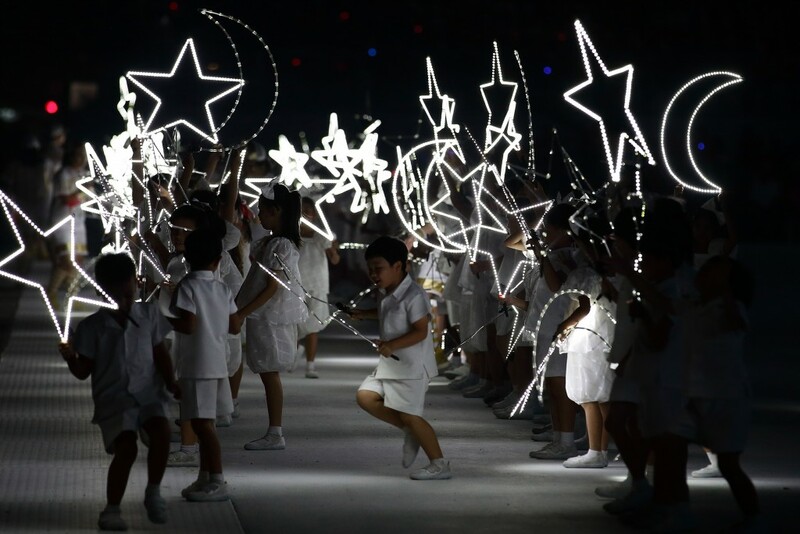 Children wearing LED-lit costumes perform during Singapore’s Golden Jubilee celebration parade. Photo by Kevin Lam/Reuters. 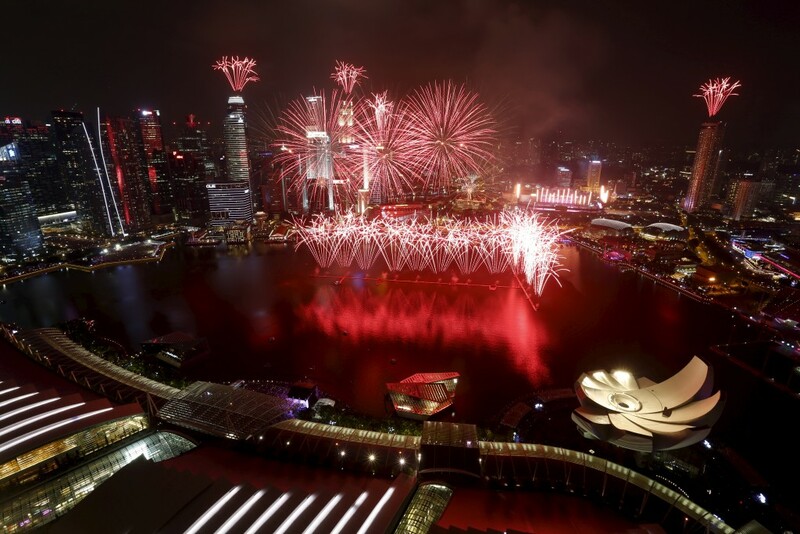 Fireworks explode over Marina Bay during Singapore’s Golden Jubilee celebrations, in Singapore August 9, 2015. Photo by Tan Shung Sin/Reuters. 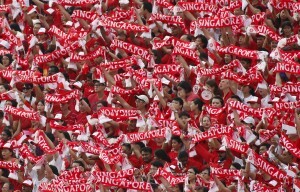 Left: People hold up Singapore banners during Singapore's Golden Jubilee celebration parade. Photo by Edgar Su/Reuters.